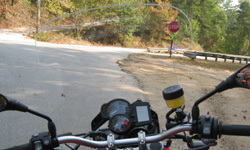 The Parabellum Replacement Touring Windshield for the F650GS and F800GS are made from D.O.T. approved 5mm (3/16 inch) military grade cast acrylic specified for optical clarity. 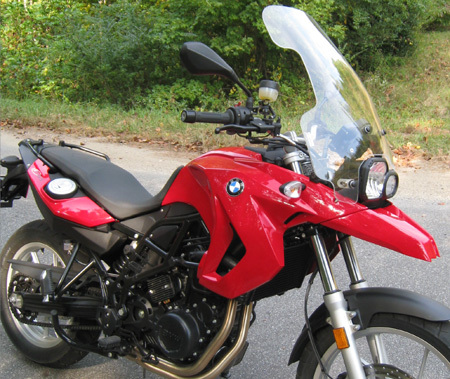 Our windshield mounts easily to the front BMW mounts and to the sides of the headlight. It comes in 3 sizes to accommodate riders of all heights and is 19.5 inches wide to create comfortable pocket of still air. 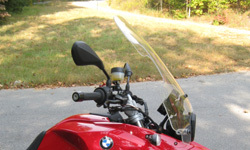 Windshield height is critical in getting the wind quietly over your helmet. You want to just barely look over the top of the shield (1-1.5 inches) as you have your eyes cast down the road. If you choose a windshield that is too low, you will direct the air too low and it will be noisy. Note: Windshield is not compatible with handguards.